It’s 1943. Allied forces have just flattened Peenemünde, Hitler’s missile HQ on Germany’s Baltic coast. Alternative sites need to be found urgently, ideally far from prying eyes and enemy aircraft. The slate mines of Thüringen fit the purpose perfectly; a mountainous region crisscrossed with tunnels, dotted with quarries, connected by roads and covered with forest. All that remains is to set up some bogus companies to hold the money, requisition the mines, and start making the missiles. It almost reads like some ridiculous cartoon plot, a grotesque episode featuring the Roadrunner and plenty of ACME rockets, though Herren Örtel & Schmidt probably weren’t too amused when they were relieved of several houses and a large barn in September 1943. Their livelihood went the same way; the Örtelsbruch Mining Company in Schmiedebach was renamed Vorwerk Mitte and became the property of Steinbruchverwertung GmbH, a satellite firm of the much larger Unternehmen Mittelwerk GmbH, operators of Mittelbau Dora. Situated to the north of Schmiedebach near Nordhausen, Dora was to become the foremost producer of ballistic weapons and aircraft parts, and included divisions from companies which are household names today; Siemens, BMW, Walther, AEG, Junkers and DEMAG. Housing a barbaric production line ‘staffed’ with concentration camp prisoners from nearby Buchenwald, Mittelbau Dora soon set up its own camp, providing the facility with 40,000 to 64,000 labourers from 10 countries. 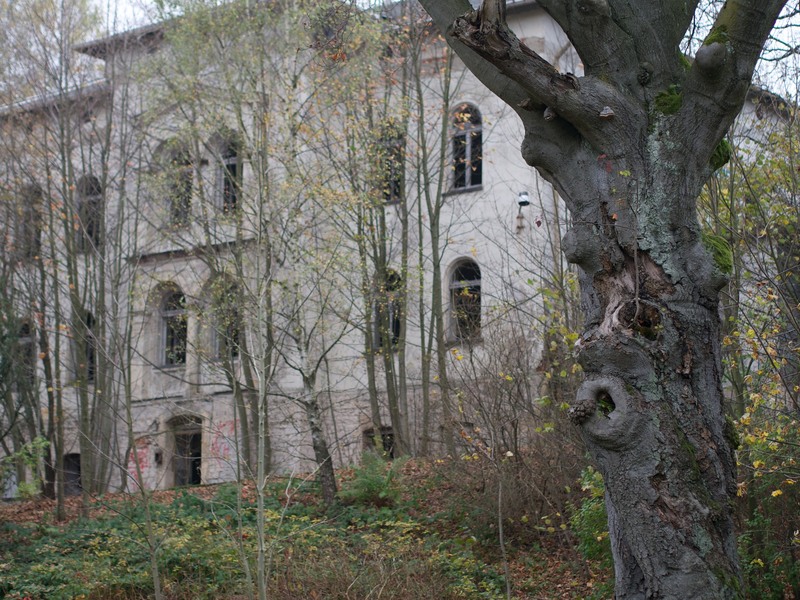 Further camps were established in the autumn of 1943 to provide a workforce at the smaller Vorwerk Mitte, including Camp Laura in Schmiedebach. Laura too was officially a ‘labour camp’ but quickly became hell on earth for 1,227 prisoners by the end of the year. Using technology salvaged from Peenemünde and an expendable workforce subjected to brutal conditions, it took the jack-booted SS just six months to reach operational readiness at Vorwerk Mitte, expanding 7km of underground shafts and 54 chambers from 400m² to 600m² in total. Due to the manufacturing tolerances inherent of such a diverse workforce, most V-2 parts were not interchangeable from one missile to the next and consequently had to be tested and calibrated as an assembly. While the much larger Mittelbau Dora produced and assembled ballistic missiles, Vorwerk Mitte concentrated on acceptance testing rocket motors from Dora. Complete propulsion systems would be shipped to Mitte and fixed to specially constructed vertical test platforms high above the quarry floor, where they could be fired in-situ without the need for blast shields. Whereas the quarry exterior was ideal for testing rockets, the tunnels and chambers of Vorwerk Mitte were well suited to the production of liquid oxygen, a crucial oxidiser used in rocket propulsion. Once operational, the plant deep under the Schmiedebach mountains produced eight tons of liquid gas per hour, running 24 hours per day and stopping only three days per month so that the equipment could be checked and de-iced. 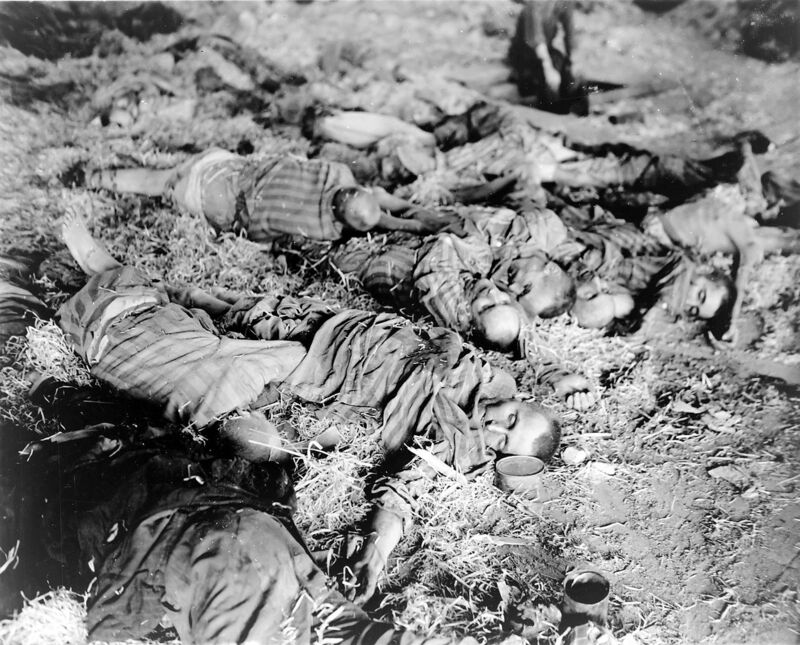 No words exist to adequately describe the human cost of operations at Dora and Mitte, and it’s a little known fact that V-2 rockets killed more people in their construction than in their deployment. Prisoners laboured in 12 hour shifts without break and were housed in chambers adjacent to the equipment without sanitary facilities. Dysentery, typhoid and tuberculosis compounded starvation, exhaustion and exposure as common causes of death while the harsh winter and torturous work took their toll. 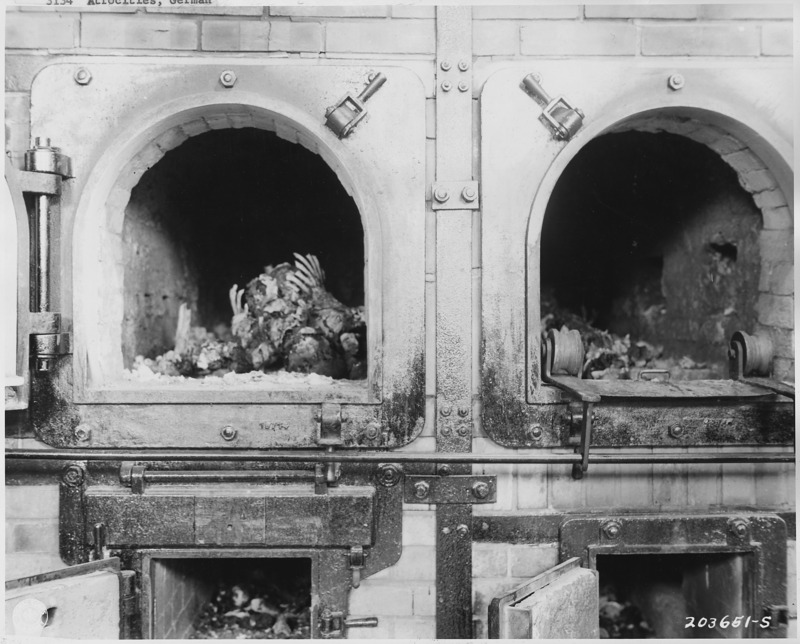 In the beginning corpses were shipped to Buchenwald for disposal, but before long Vorwerk Mitte was equipped with it’s own coal-fired ovens, operated by prisoners. The iron fist of the SS dealt out physical and psychological torture in many ways, yet subtle attempts at sabotage were not uncommon, and recovered V-2 missile assemblies often showed deliberately inferior welding in hidden places and dry solder joints in complex wiring looms. The price for sabotage was as high as that for lack of enthusiasm: execution by hanging, with the workforce having to watch and for days afterwards push it’s way past corpses of ‘traitors’ suspended at shaft entrances. Some reports speak of the construction of a gas chamber at Mitte, though it’s not clear whether this was operational yet when American troops closed in on the region during April 1945. In any case, gruesome official ledgers record 672 prisoners being hurriedly marched into town and loaded onto cattle trains in the dead of night on April 12th, bound for the notorious Dachau death camp. Led by Brig. Gen. Truman Boudinot, the 3rd Armored Division arrived just a few hours later, having been tipped off by US Army Intelligence to “expect something a little unusual”. 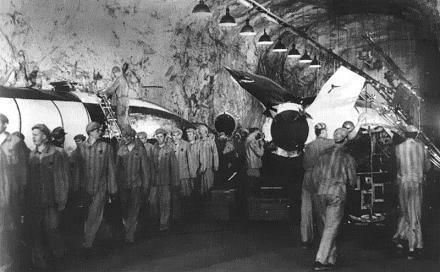 Although the US was too late to save the last of the prisoners they did manage to liberate vast amounts of German missile technology, defaulting on their agreement to share half with the British and instead shipping the entire stash to White Sands Proving Ground in New Mexico. 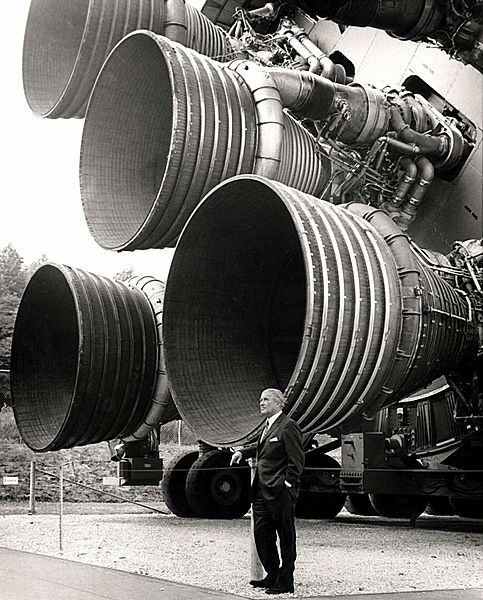 Included in the haul were several key rocket scientists, some of whom went on to head up major American space programmes such as Saturn 5, and in one case joining forces with Walt Disney in producing pro-war / pro-space material in the US. Speaking of propaganda, despite liberal references to Hitler’s concentration camps no mention was made for many years of Camp Laura and the numerous other hell-holes that made Nazi rocket technology – and by implication the US space programme possible. Once the connection was irrevocably public there followed a period of trials for war crimes, ending for many highly educated scientists with deportation to Germany where many cases were dismissed for lack of evidence. The brief period of American ownership from April to July of 1945 ended for Mittelbau Dora and its outlying facilities with transfer to the Soviet Union as a new chapter of Communism prepared to separate Eastern Germany from the evil, decadent West. Russia continued to make use of concentration camps for its own purposes, and carried out 407 test firings of V-2 engines at Örtelsbruch before deciding that it wasn’t comfortable with the site’s close proximity to the enemy border. The two remaining vertical test rigs were removed from the quarry wall and shipped wholesale to the USSR to be resurrected in Zagorsk, amidst proud claims that the technology was Russian to begin with. Anything left behind at Örtelsbruch was detonated by the Soviets on their way home in 1946 – seems like everybody wanted the missiles but not the reputation. Today Camp Laura is survived by a memorial stone and a small museum started by the school children of Schmiedebach. 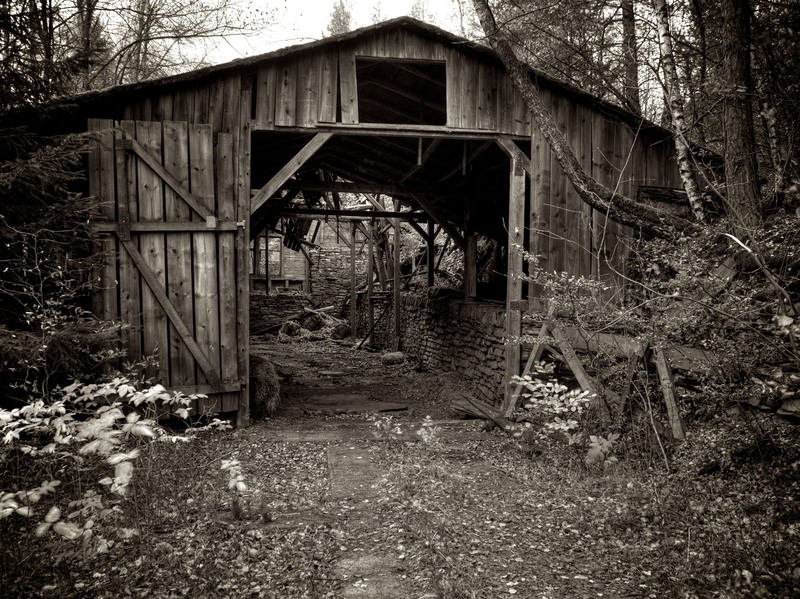 It’s housed in the very barn where the first prisoners spent cold, fitful periods of respite from building the Nazi war machine. It’s 1701, and the first king of Prussia is being nagged by his wife to get her something nice. 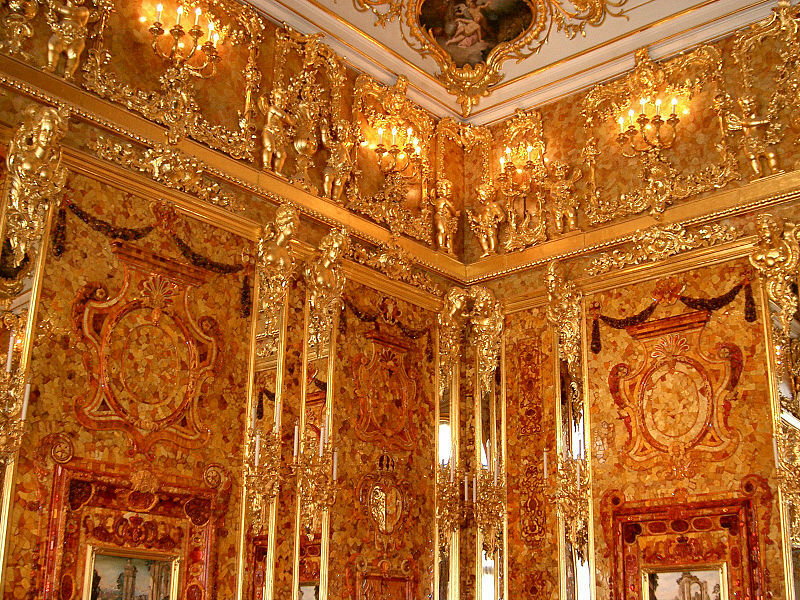 He assembles the finest craftsmen known to man and they labour for ten years to create the Bernsteinzimmer, or Amber Room. It’s an exquisite work of art consisting of gold, jewels, and over 6 tonnes of precious amber, stretching out more than 55 square meters and rapidly gaining notoriety as the eighth wonder of the world. One hopes she was pleased. Keeping tabs on the movements of this priceless behemoth through the next 200 years is like trying to catch the frog in your bathtub, so I’m going to skip predictably straight to the bit where the Germans invade Russia in 1941. Fearing the worst, the Russian owners at the time try to dismantle the treasure for safekeeping, but the materials have become brittle and it starts to break up. Like any decorator pressed for time, they instead try to wallpaper new over old, but as is so often the case the old pattern eventually shows through and catches somebody’s eye. Ownership trumps resale value, and the Germans quickly pack everything up into boxes and post it off to Königsberg. It was buried somewhere and officially forgotten about. Now, if you find yourself holding the world’s biggest treasure, and your side’s getting a right old kicking, and you’ve got all these caves and plenty of cheap labour … what would you do?